The simple definition of Reverb (or Reverberation) is that it is created when a sound is produced in an enclosed space causing a large number of echoes to build up and then slowly decay as the sound is absorbed by the walls and air in a room. 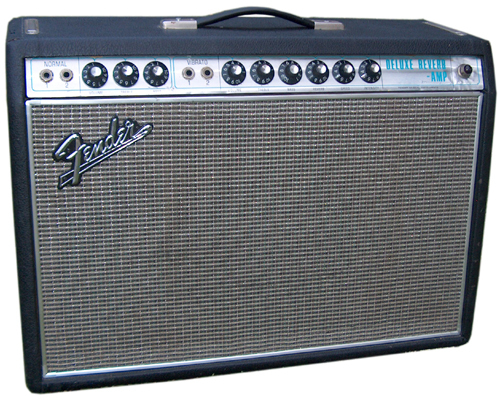 The Reverb effect has been in use for Decades, from 50’s rockabilly, to 60’s surf. From 70’s classic rock to 80’s New Wave. Reverb was key to Pearl Jam influence on the “grunge” sound and Radiohead’s OK Computer (as well as every other Radiohead album). John Mayer, The Shins, Kings of Leon. Everyone uses Reverb. Everyone talks about Delay in The Edge’s U2 guitar sound, as well as Coldplay ripping off that sound, but the truth is that without reverb neither band gets the classic sounds they are known for. I’m not going to talk about settings or different pedals or anything like that. There are a lot of good reverb pedals out there and you should go and check them out. What I want to talk about is why I use reverb and how I use reverb. A Capo (short for the Italian word “capotasto”, which means head of the fretboard) is device that allows you to raise the pitch of a stringed instrument. If you put a Capo on at the 1st Fret then the key of E become the Key of F. Throw a capon on at the 4th Fret and the key of G become the key of B. The joke is that worship leaders tend to use them so they can play “in G” no matter what key they are really playing in. There is some truth to that however. Let’s look at why Capo’s are used. What there Pros are. What their challenges are. Lastly we’ll look at what their drawbacks are. Each Week I’ll try and address different aspects of the practical side of playing electric guitar in church music. This week we’ll talk about having ‘good gear’ and what that does and does not do for you. My friends who are electricians buy the best insulated boots for work. My friends who are carpenters buy the best saw and hammer they can. My friend who is a programmer told me he uses Apple computers for the same reasons a plumber would buy the best wrench. Men and women in various trades and crafts buy the best tools they can afford to get the job done. Musicians are no different. But what does having the best gear you can afford get you? By and large a church’s expression in worship (song, art, prayer, etc) will tend to be monolithic. It has been established by the founding generation who see no reason to change things, and say “wrong if you think otherwise”. Perhaps the style of the church is controlled by a new generation who came, conquered, and put the old ones adrift on an ice berg. Neither of these are good scenarios. You’re a worship leader. You play guitar, piano, maybe bass, or you are strictly vocals only. You speak the ‘language’ of those instruments. But the band you lead is made up of a host of other sounds, timbres, pitches, and ranges speaking different musical ‘languages’ than you do. How do you lead them? How do you work with them and convie what you want done? 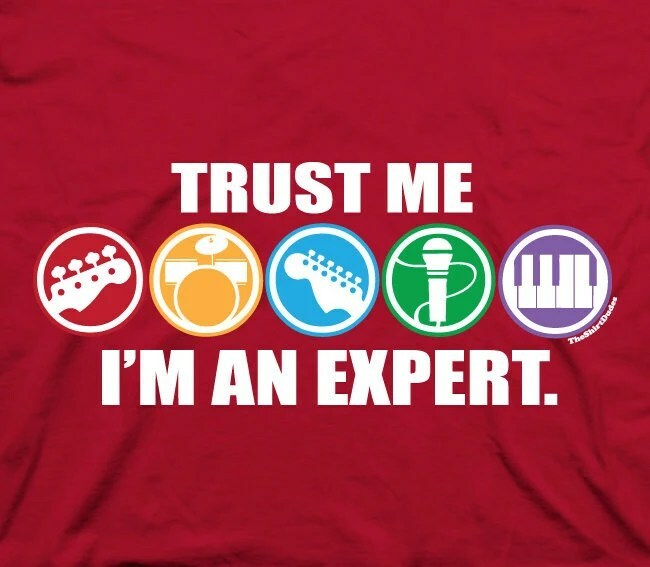 Get an Expert. Be an Expert. This week we’ll talk about worship bands, U2 and Ripping off The Edge. David Evans more widely known at “The Edge” is the guitar player from the band U2. If you don’t know who U2 is you have my permission to crawl out of the rock you’ve been living under for the last 30 years and download “Where the Streets Have No Name”,”Desire”, “Bad”, “With or Without You” and “Crumbs From Your Table” as a sample of the different eras of the Edge’s playing. Also watch the music video for “Streets have no Name” because its awesome. Modern Worship Music: Just Rip Off U2? Ever hear someone make a statement like that? Ever make that statement yourself? The reason that people make the comparison is that many worship bands, most notably Hillsong United use the “dotted 8th note” effect that the Edge pioneered (see example at the bottom of the post). And since Hillsong and other worship bands use the guitar effect associated with The Edge and U2, people associate modern praise and worship music with that band.